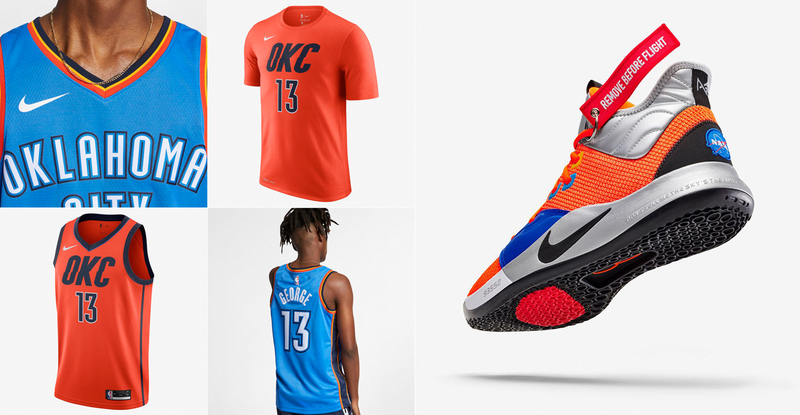 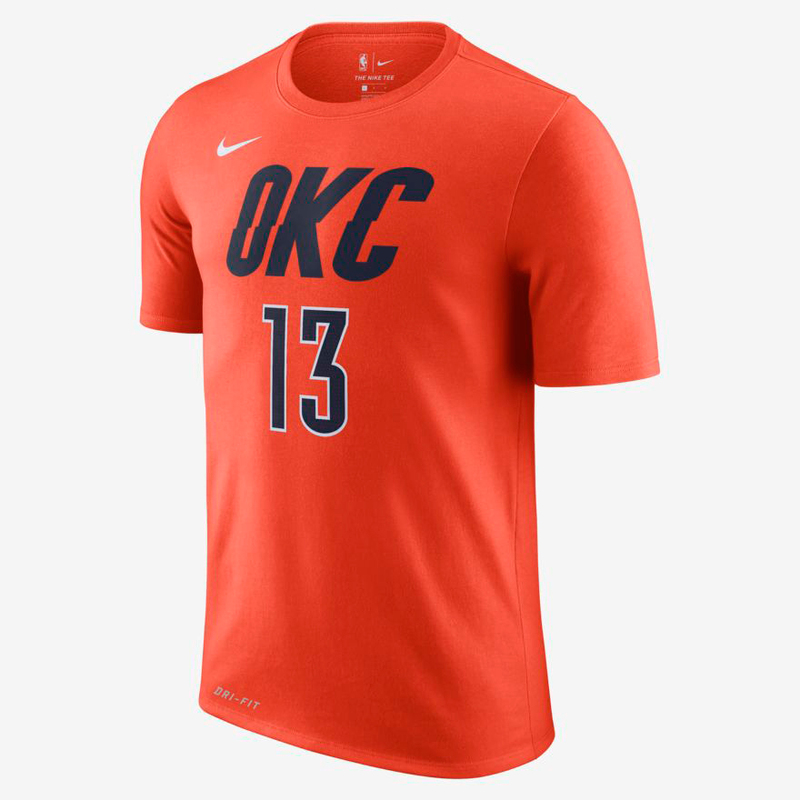 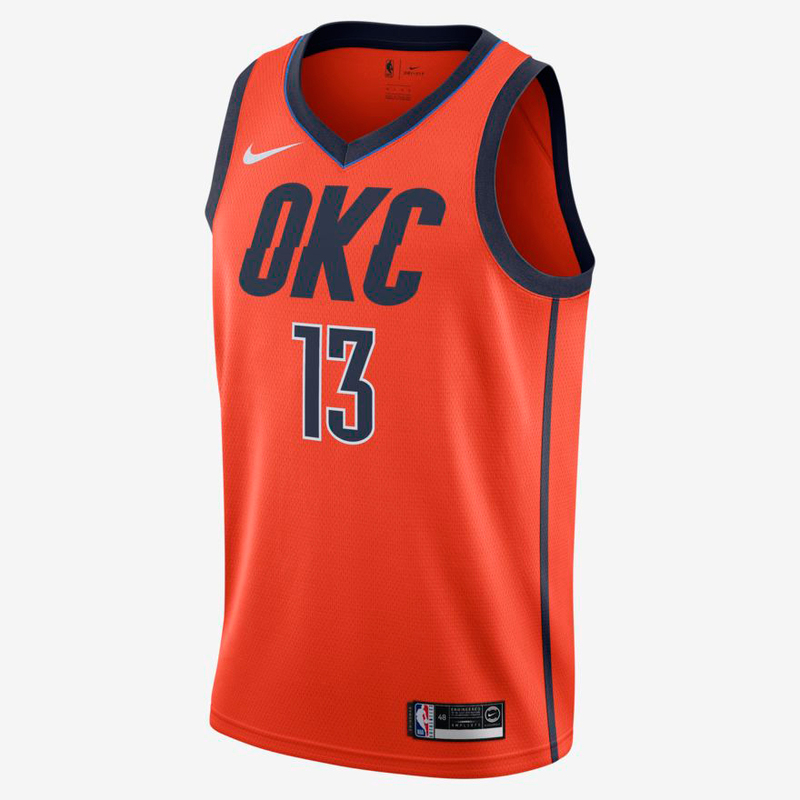 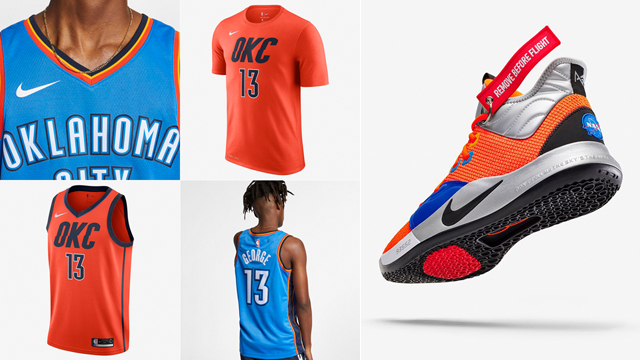 Sync up the Nike PG 3 “NASA” sneakers in PG13 signature style with these Paul George Oklahoma City Thunder basketball jerseys and t-shirt to match the shoes. 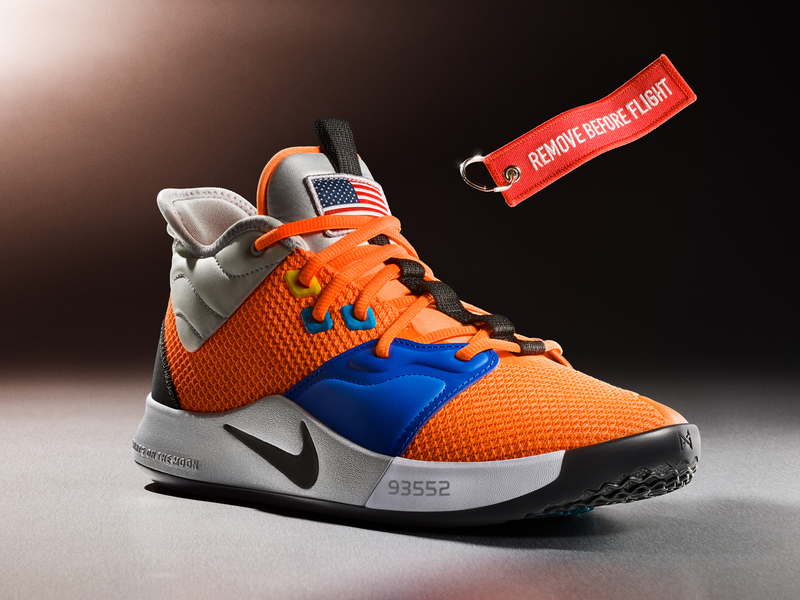 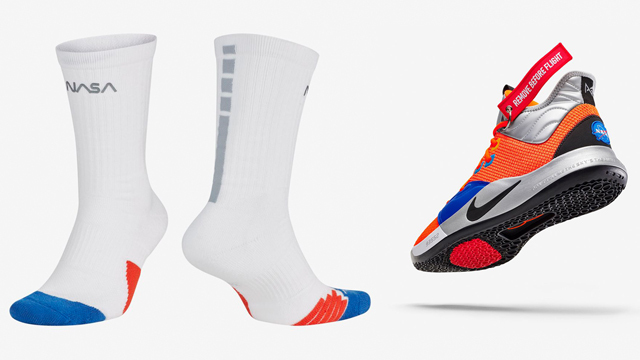 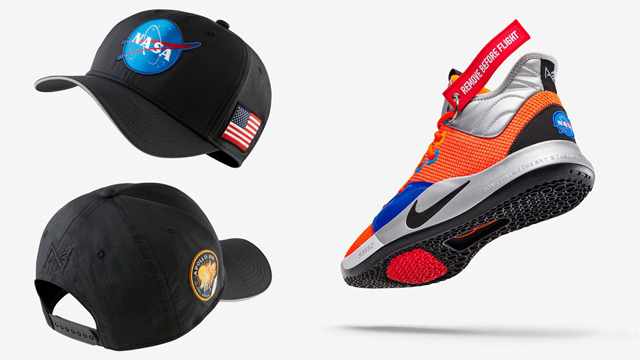 Mixing colors to match the PG3 “NASA” kicks, included in the mix below are orange and blue team tops to pair up with the shoes on-court or off, including the Team Orange Paul George OKC Thunder Earned Edition T-Shirt and NBA Connected Swingman Jersey, as well as the Signal Blue Paul George OKC Thunder Icon Edition Swingman Jersey for an alternate look to hook. 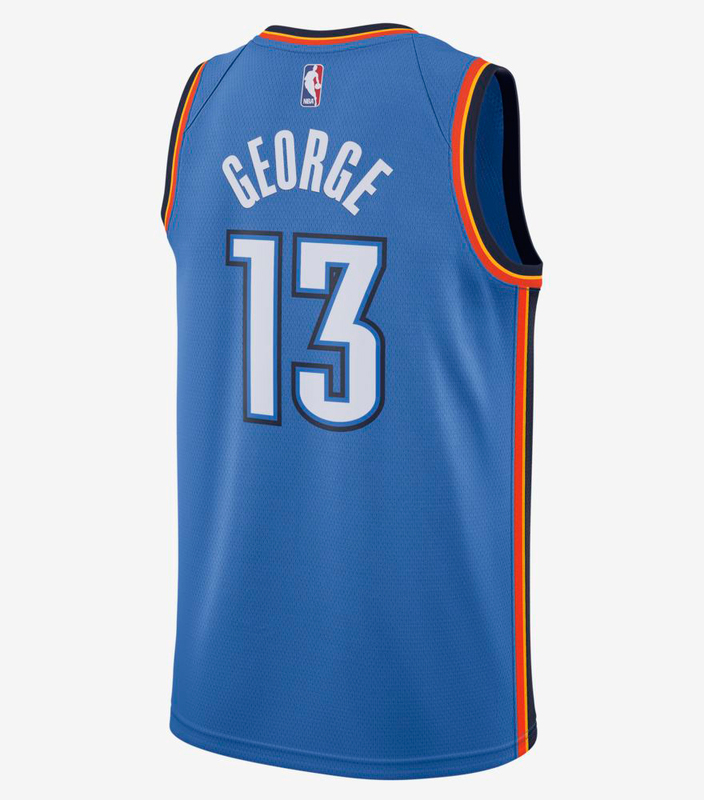 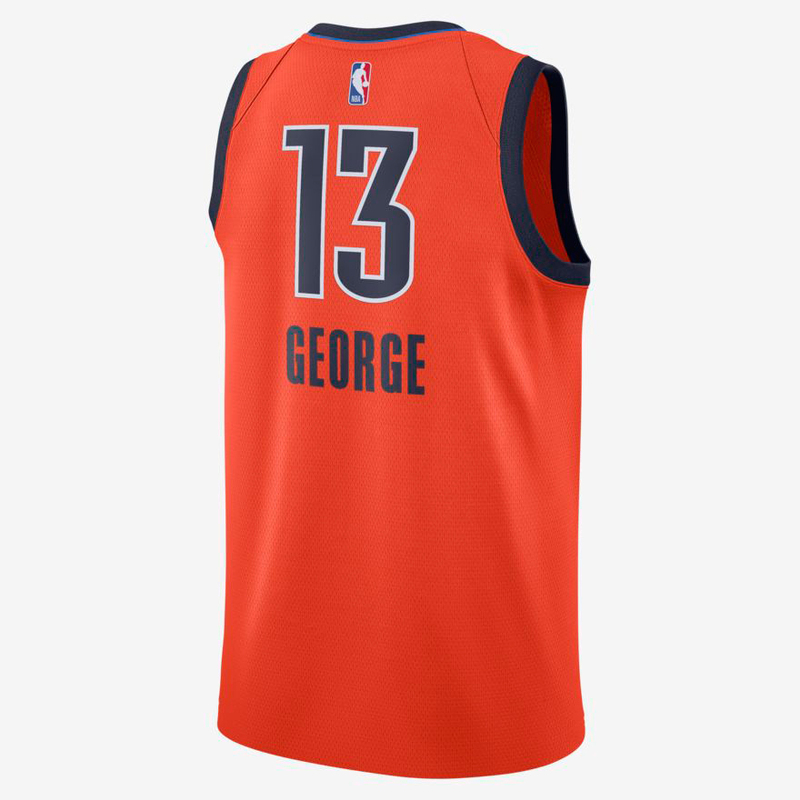 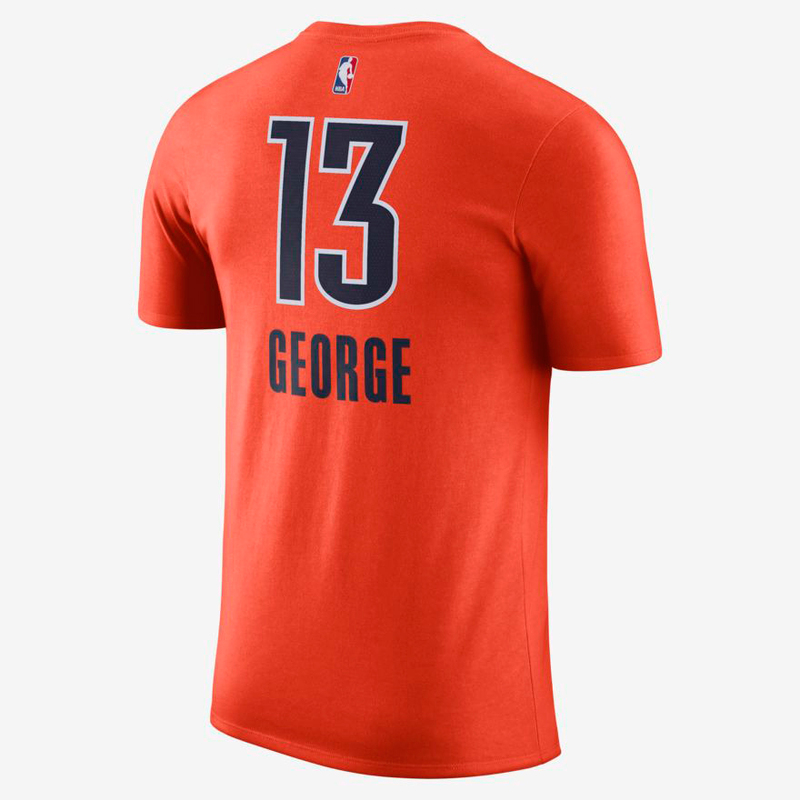 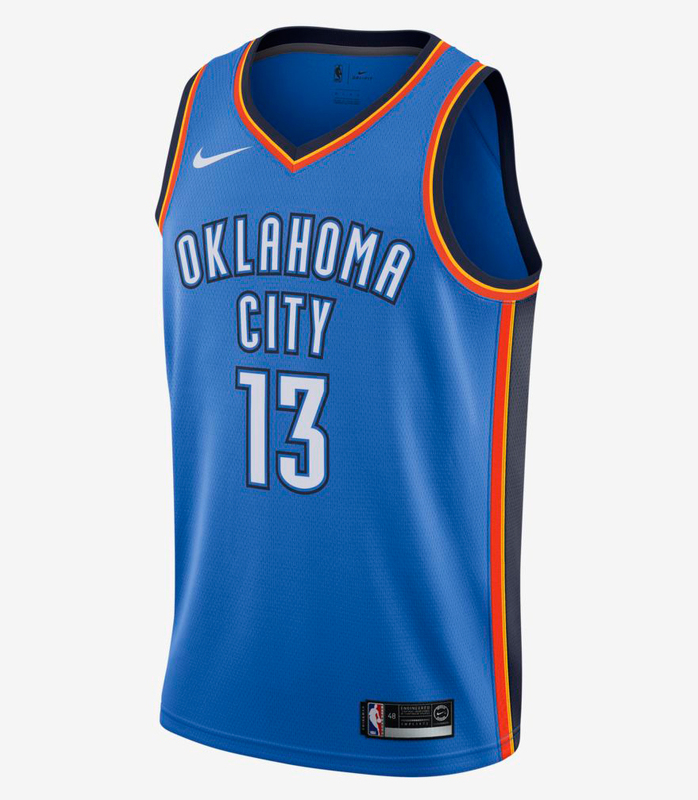 Check out the Paul George OKC team gear with links to shop the tops below. 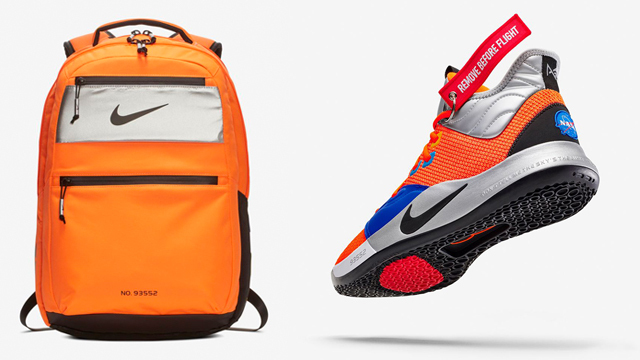 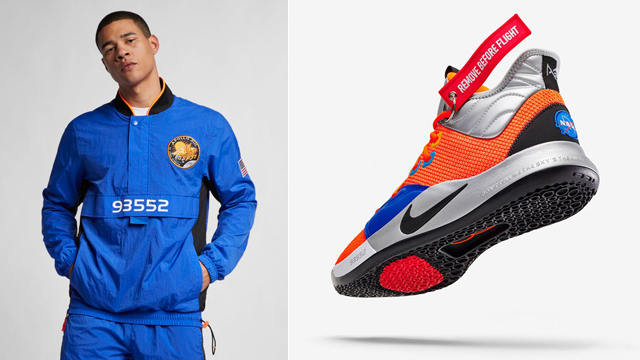 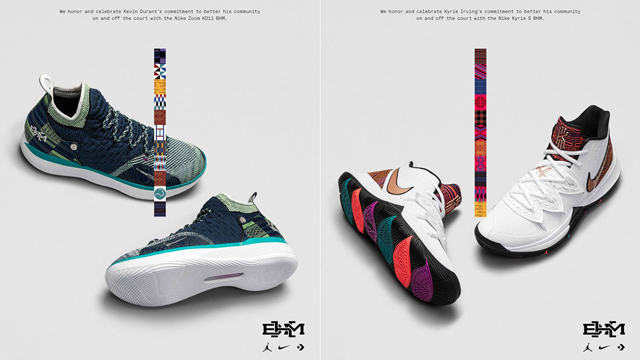 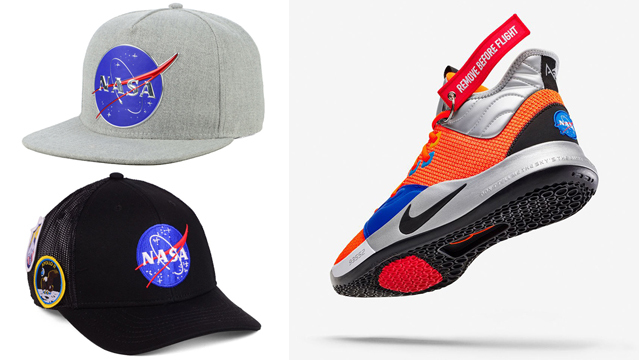 Click here for more clothing and gear to match the Nike PG 3 “NASA”.